Products Carried: Jauhal Dental is Mississauga and Cambridge Ontario's Premier Dental Practice. Jauhal Dental services include: Cleanings and Prevention, Cosmetic Dentistry, Restorative Dental Procedures, Veneers, and Implant Dentistry. They also offer Teeth Whitening, Orthodontics, Dentures and Prosthetics, and more. The professional staff at Jauhal Dental strive to provide the best service and dental care experience. 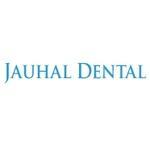 Jauhal Dental provides convenient payment plans.